As I awoke bleary eyed and rolled out of my swag on the cold, crisp morning of the Queens Birthday Monday I suddenly realised that the Top Half Folk Festival was over for another year. The weekend had flown by in a blur of folk music and whiskey and it was time to pack up the hire car and make the weary trip from Glen Helen to Alice Springs and once again face the real world. 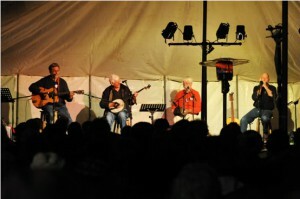 The Top Half Folk Festival is held alternately in Central Australia (Glen Helen) and the Top End (Mary River) and this year it was the “bottom half’s” turn. Showcasing some of the Northern Territory’s best established and up-and-coming folk music talent, along with special guests from interstate, the Top Half is everything that’s wonderful about a small regional festival – intimate venues, a family atmosphere and beautiful acoustic music filling the equally stunning surroundings. 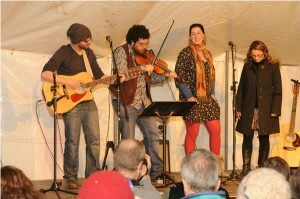 The official program of the Top Half takes place over the Saturday and Sunday of the Queens Birthday long weekend (with the unofficial program continuing in the Glen Helen Homestead over three late nights) with a single venue hosting a selection of concerts, workshops and other folky goodness throughout. 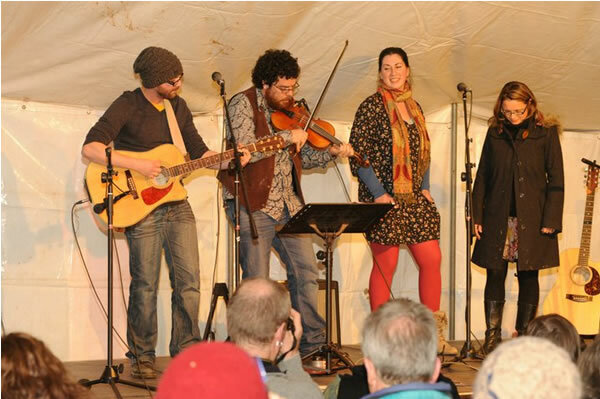 Day one saw a heady mixture of traditional and contemporary folk to delight and inspire the audience who were trickling in from Alice Springs throughout the morning. 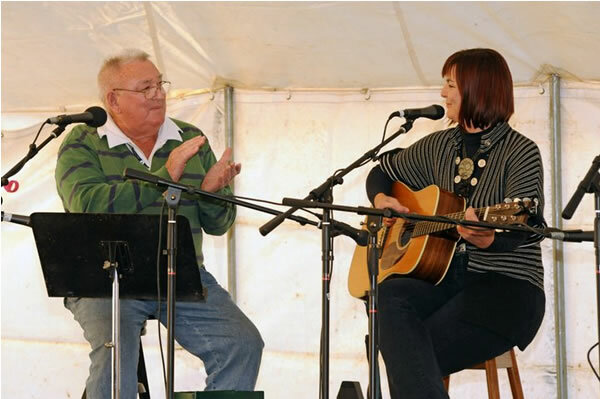 The day kicked off with the famous Poet’s Breakfast hosted by the equally famous Jim Smith (VIC) and then was followed by a fascinating maritime themed workshop from WA duo Lesley Silvester and Mike Murray (an odd choice for a desert festival but who doesn’t like a good sea shanty?). 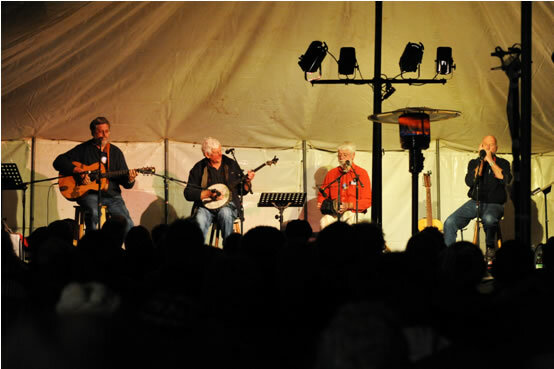 Next up local legend Dave Evans (Bloodwood) presented one of the highlights of the festival, interviewing West Australian group The Loaded Dog with hilarious consequences (and even a few songs thrown in for good measure). I use the term “interviewing” loosely with the majority of the presentation seeing Evans and The Loaded Dog trading friendly barbs and generally trying to outwit each other. The result was not only a great introduction to The Loaded Dog’s music (for those of us who hadn’t heard them before) but a fantastic introduction to the more formal concerts for the rest of the day. The two Saturday concerts were peppered with some absolutely delightful music spanning folk in all its forms from trad (Darwin’s Moonta Revellers) to contemporary (South Australia’s Don Bruce) and even klezmer (local band Rusty and the Infidels). Highlights from the day included the troubadour stylings of Edan Baxter and Jamie Balfour (Alice Springs) on resonator and lap steel, the irrepressible Ted Egan (Alice Springs) singing some of his most cherished Australian songs, Jeanette Wormald (Alice Springs) who had been coaxed out of semi-retirement from professional music to play a gorgeous set of contemporary country music and Dom Costello and Michael David (Alice Springs and QLD) who absolutely blew me out of the water with their Celtic inspired contemporary folk. The festival’s special guest, WA singer songwriter Peter Bugden, appeared in two slots over the weekend including closing the Saturday night concert and a solo slot at lunchtime on Sunday. 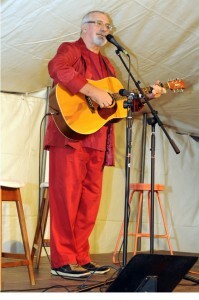 As charismatic as ever, Bugden charmed audiences with his unique mix of humour and poignancy. At one moment Bugden would have the audience rolling in the aisles to one of his stories or tongue-twisting songs and then the next moment they would be enraptured by a song full of heartbreak and longing. While Bugden hails from Perth he has had a long association with the Territorian folk scene and his performances solidified his standing as one of the Top Half’s favourite “blow ins”. Sunday proved more of the same high quality performances starting once again with Jim Smith’s Poet’s breakfast before launching into a day of workshops and concerts. Paul “Stewy” Stewert once again assembled a “cricket team” (top image) of festival musicians (including members of local folk music heroes Bloodwood) for a workshop featuring songs from the depths of his impressive record collection. The workshop had the audience commenting how dismal their record collections were in comparison and many of the musicians frantically writing down the names of the all the new songs they had to learn. The two Sunday concerts were once again a mixture of the old and the new (both in terms of the music and the acts) and really demonstrated why audiences keep coming back. Highlights included South of the Berrimah Line (Katherine) combining old timey, country, Celtic and contemporary folk music with wonderful instrumentation and harmonies, Australian folk legend Margaret Walters (NSW), Phil Beck (WA) whose beautiful finger picking style and affection for the sadder side of folk music reduced some audience members to tears and the-band-that-became-a-blog Timber and Steel flexing their nu-folk muscles. The night was closed out by local rock/blues/folk/country trio Built for Comfort who had the crowd rocking in their seats and singing along to all the words. Many of the Top Half’s best moments occur off-program in the Glen Helen Homestead or the “Session Bar” as it’s commonly referred to. 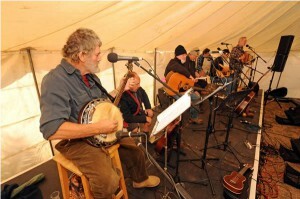 After each evening concert draws to a close the crowd descends on the homestead, musical instrument in one hand, a frothing pint in the other, and plays, sings and dances well into the early morning hours. 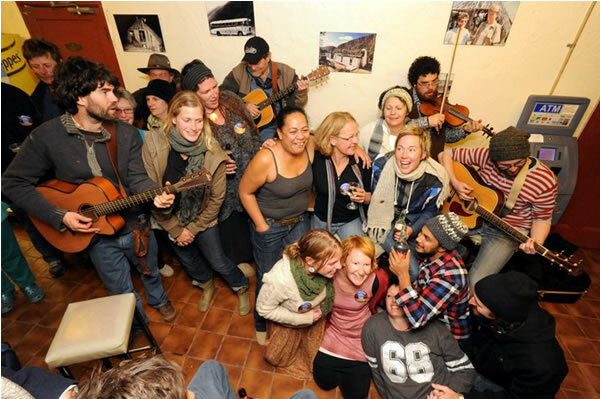 At any given moment you can be treated to set dancing, traditional Irish fiddle tunes, a Capella singing and pub classics resonating through the building and out into the MacDonnell Ranges beyond. Playing music, dancing and singing until 3am every morning and then ensuring you’re up in time to catch the Poet’s Breakfast takes its toll, hence the bleary eyes from this reviewer on the Monday morning. But the lack of sleep and below zero temperatures most mornings did nothing to dent the feeling that we had been a part of one of the best little festivals in the country. And the fact that it will be held in the tropical north next year has already inspired us to want to do it all again. Congratulations to the Central Australian Folk Society and the Top End Folk Club for another amazing Top Half Folk Festival. Long may they continue.